1. Launch the Outlook Profile Helper (OPH) file that you downloaded (OutlookPH_EXCH0XX.exe). 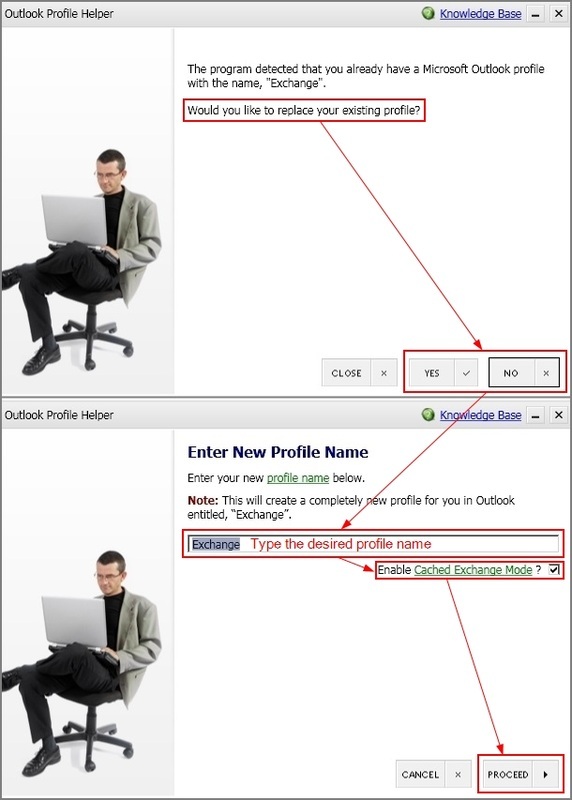 If a profile named Exchange already exists, you will be asked if you want to overwrite the existing profile. If you do not want to overwrite the existing profile and want to create an additional profile instead, click NO. 2. Type the desired profile name. If you want to download a copy of the full email then select Cached Exchange Mode, you can check the option here. 3. Enter the primary email address (UPN) and password for the mailbox you are trying to connect. Note: If the OPH was downloaded from My Services, the email address will already be filled in. 4. If you want to have this computer remember the password when Outlook launches the profile, select the Enable Remember Password? option. Click NEXT to finish. 5. 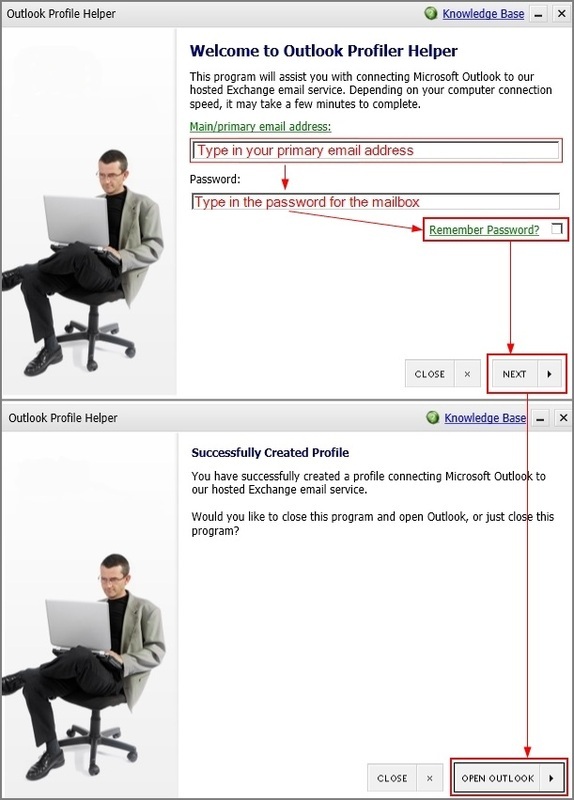 Once the email address and password are verified, your profile will be created and ready to use.